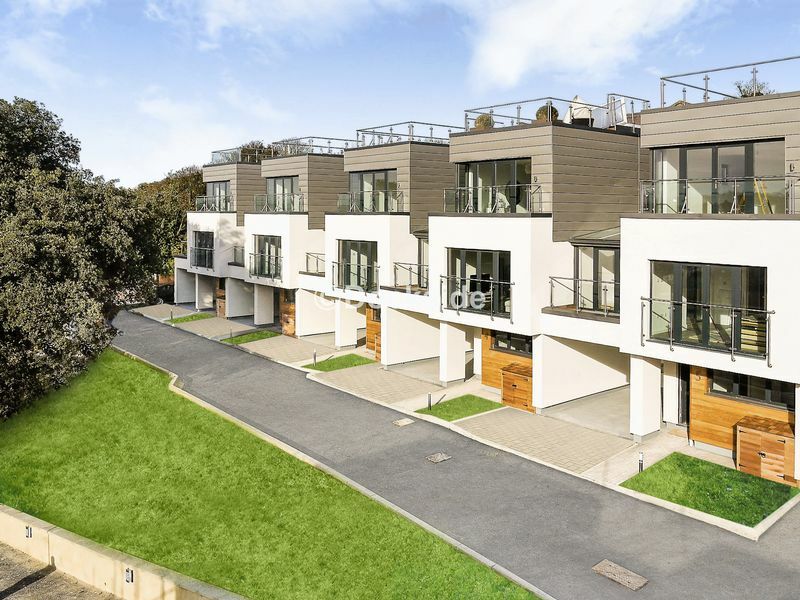 The Hamiltons, a spectacular new development in the heart of Medway, situated within a mile of Chatham mainline station, connecting you to the City within 45 minutes. 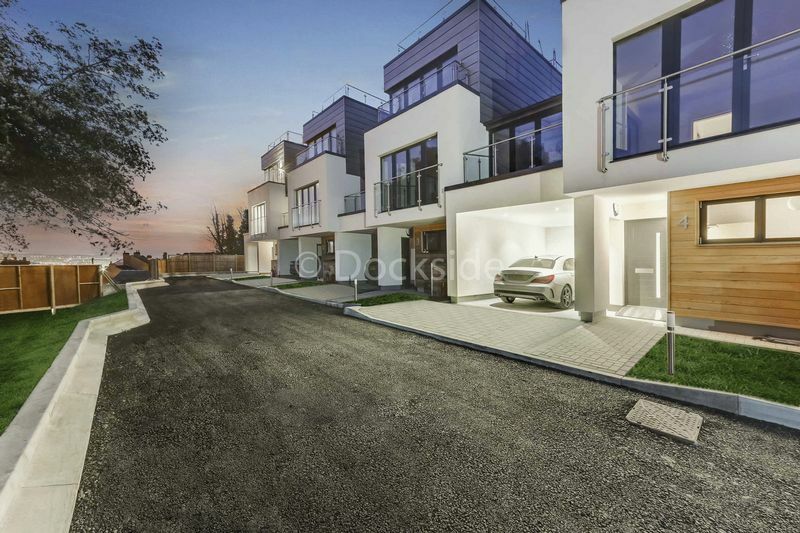 Spanning three floors, "The Panoramic" is built within this gated development, and offers overs 1556 sq ft of beautiful living space with an abundance of natural light; showing how architecture really is pushing the boundaries on home living. 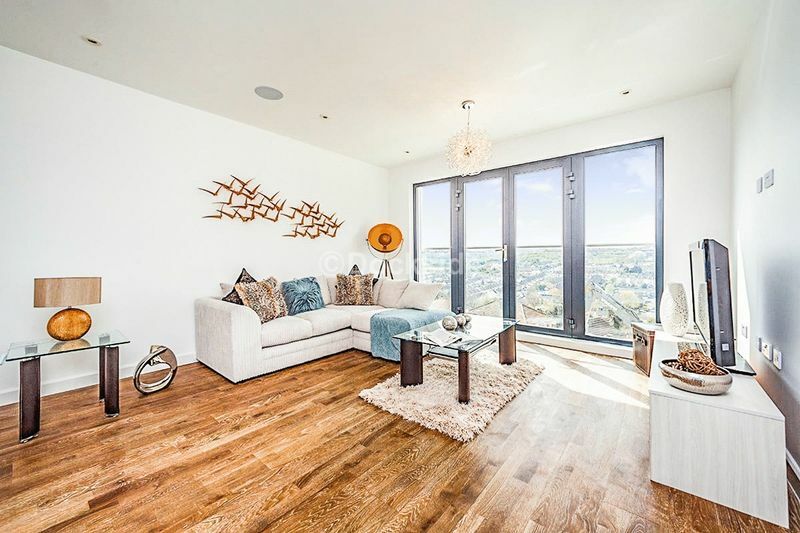 Designed and finished to an unreal standard, this home is perfect for entertaining with its own private balconies, garden and roof terrace offering breath-taking panoramic views. 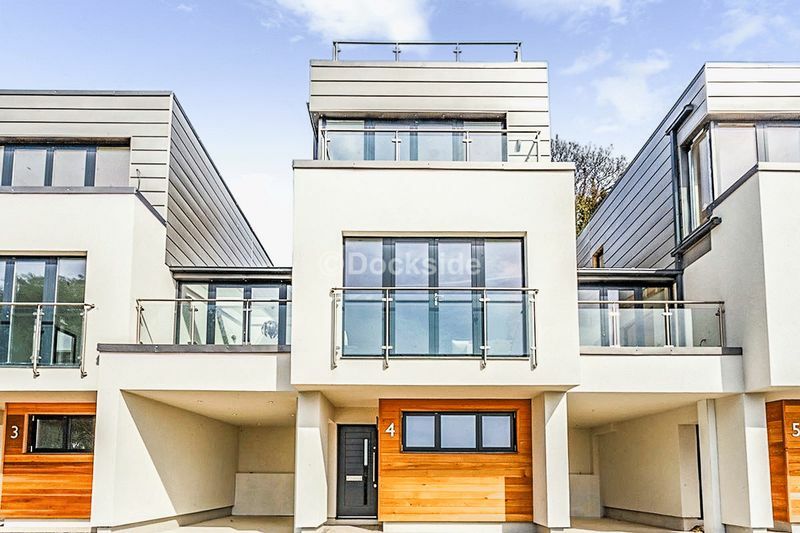 This outstanding build offers both informal and formal entertaining space with the living accommodation covering the entire first floor. Love to cook? The designer have carefully planned the kitchen configuration to make the busiest room in the house, work better for you. They have gone with a L shape, with the kitchen out of sight of the living room, but with the dining room area in between both. 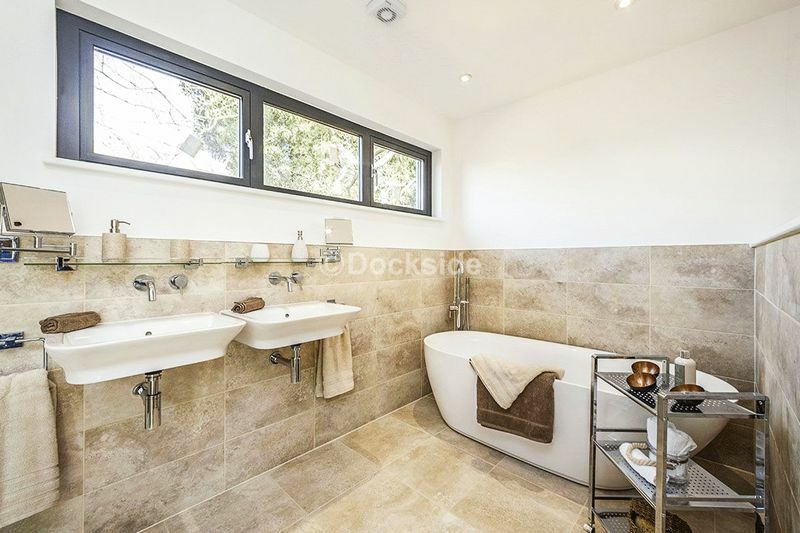 There is a utility room off to the side too, with a closeable door, allowing you to have best of both worlds, hiding all the appliances away, but having the convenience and open living to socialise. They have opted for a contemporary look with white high gloss units and sand stone quartz worktop, creating a minimalistic and stylish feel. There is also a perfect addition with a private feature bridge connecting you to the garden with a glass balustrade. 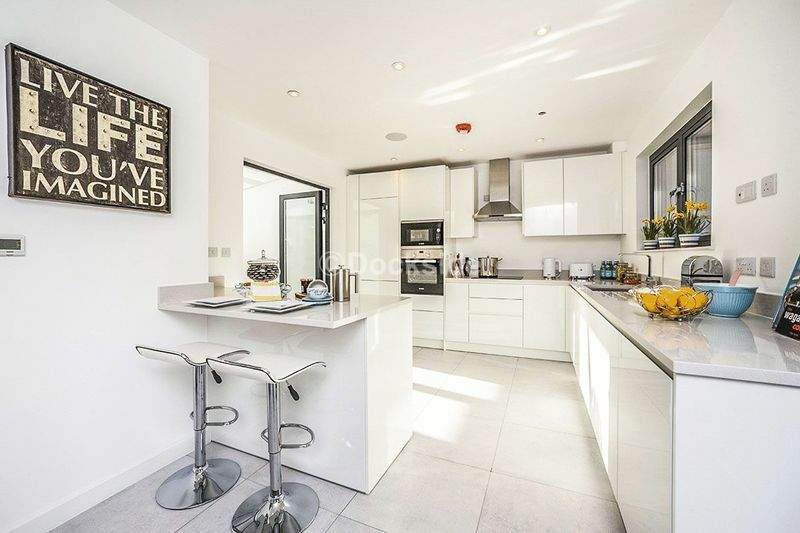 This kitchen is perfect for entertaining, especially family BBQ’s or garden parties in the summer. Having the direct access to the garden, means the children can happily head outside and play. The dining sun room will attract your attention for sure. 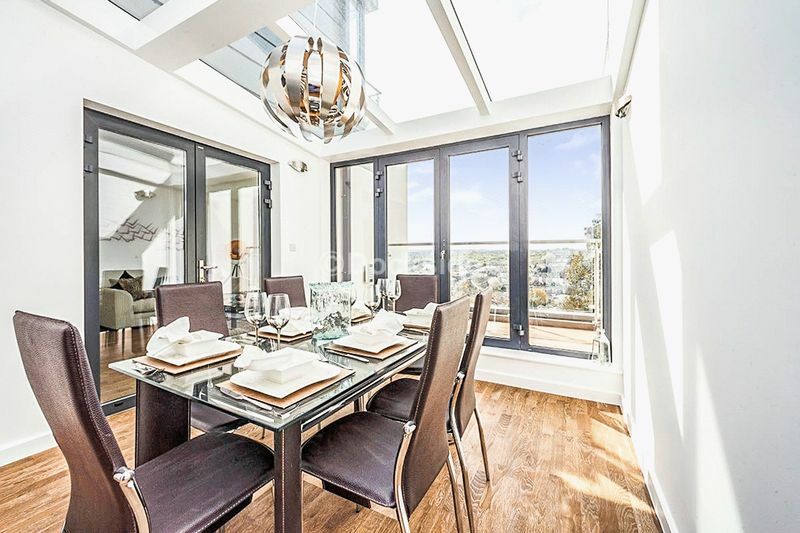 A dining room like this allows you to have breakfast in the morning sun and a glass of wine under the stars at night. Friends and family will be delighted to get a Saturday night dinner invitation from you. 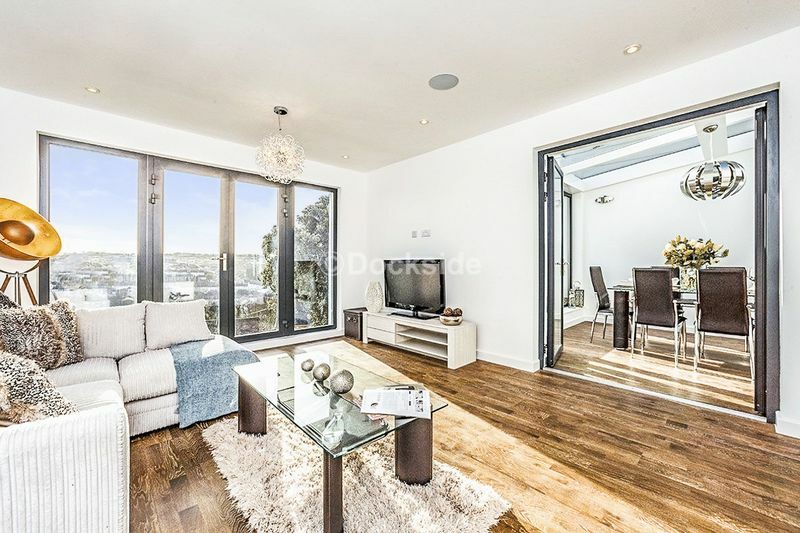 If this wasn’t enough, the french doors lead directly onto the balcony, providing a seamless connection to the outdoors and an additional outside space to entertain and soak in the sun. There is a further set of french doors leading into the living room, which can also be entered via the hallway. Complimented by modern white walls and dark rustic flooring, creates a welcoming, family-friendly space perfect for family time or just relaxing. 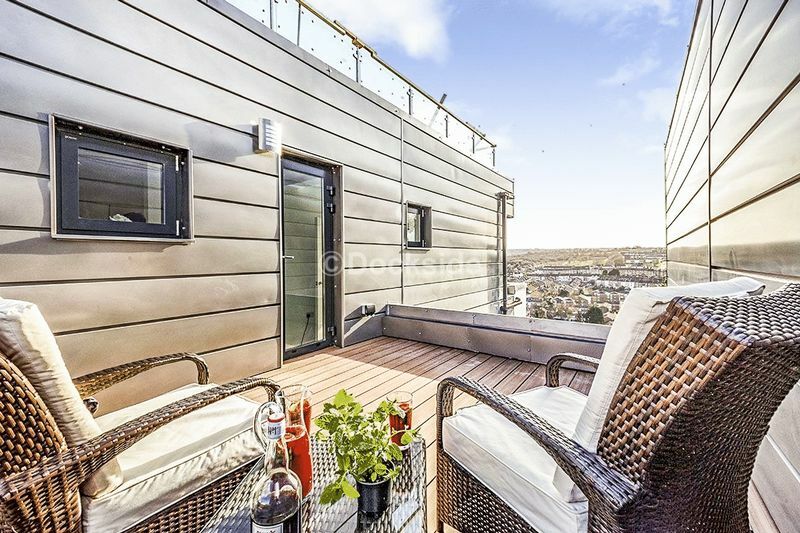 The Juliet balcony also adds additional natural sunlight and ventilation. This floor also benefits from beautifully fitted W.C. 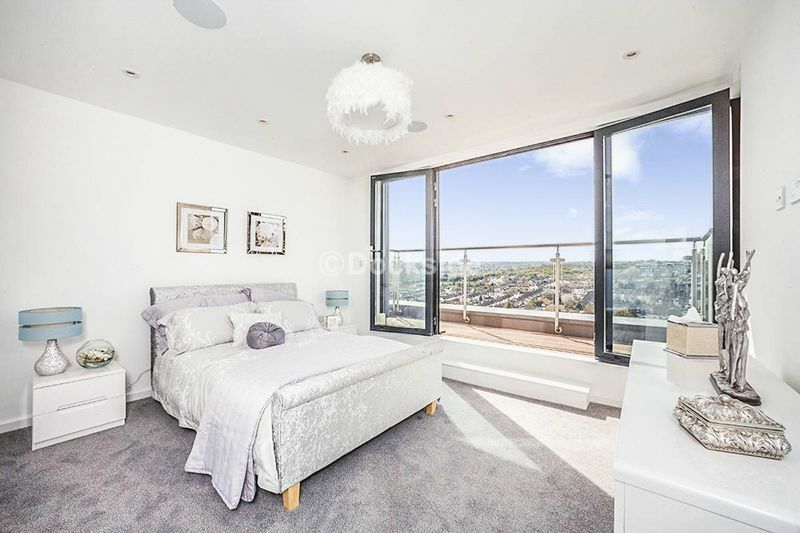 The master bedroom suite extends across the top floor and features a truly stunning en-suite and spacious dressing room. The layout has been designed to create a truly seamless integration of open plan living while maintaining a level of intimacy and privacy. 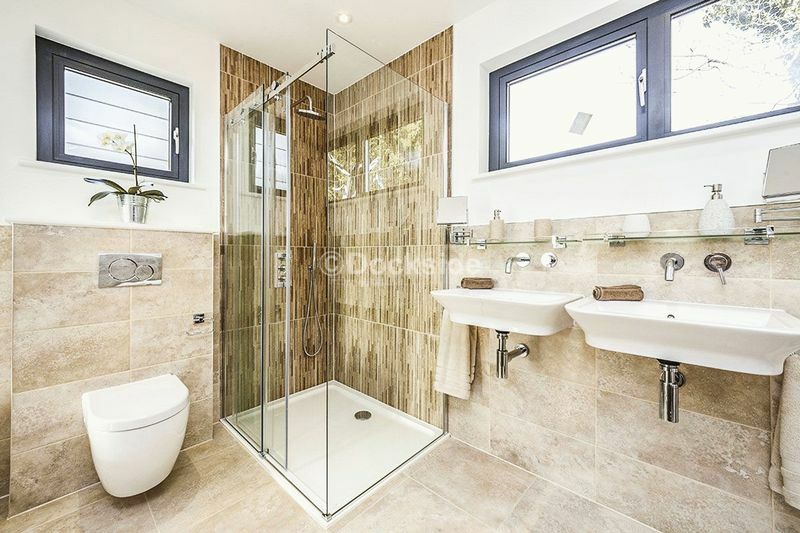 The en-suite has a freestanding contemporary bath and walk in shower complimented by “his & hers’ basins”. The laundry chute is just another amenity in this glamorous suite. 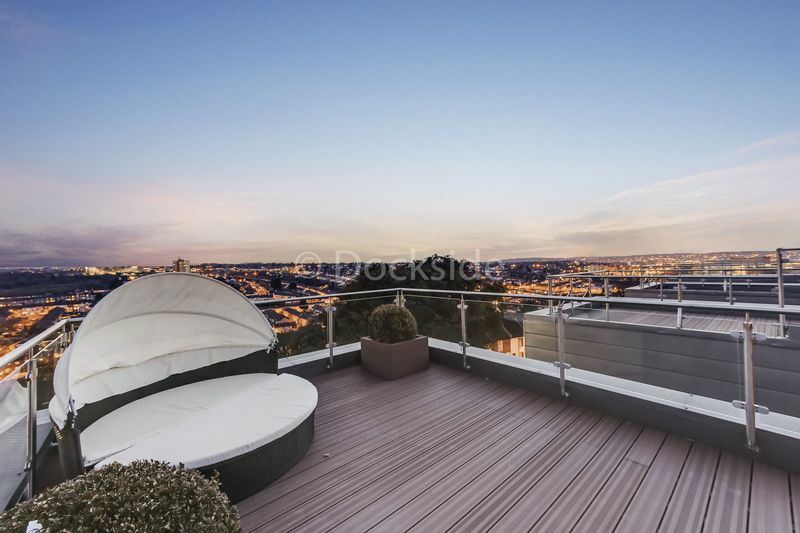 There are two private terraces, perfect for those summer nights. 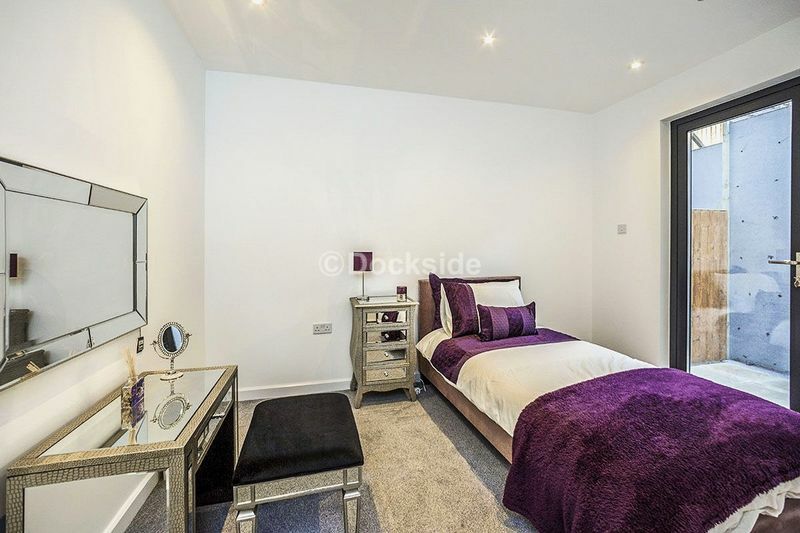 Situated on the ground floor are three bedrooms with two bedrooms having access to the private covered terrace. 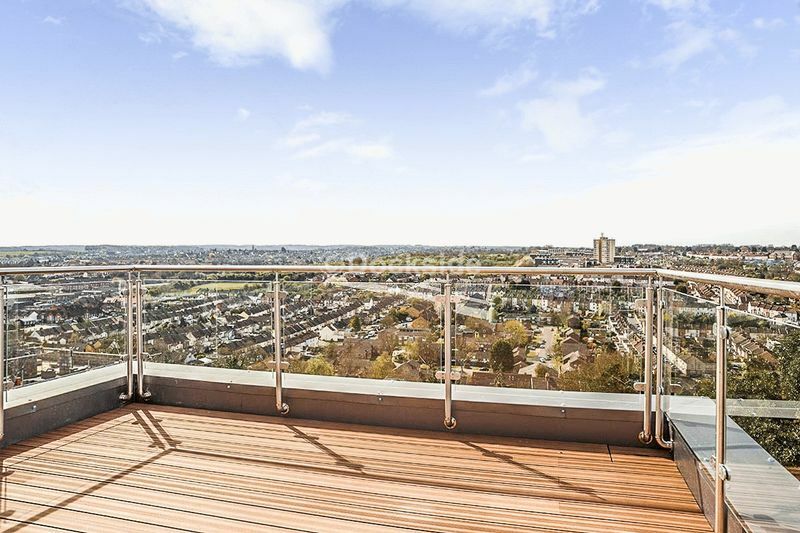 Main focus on this home is the full roof terrace with panoramic views to the west. 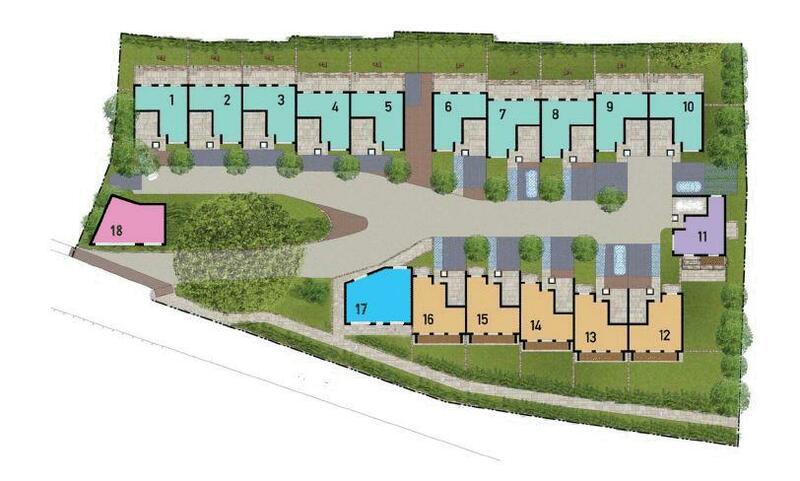 Additional benefits include integral car port and allocated parking space.